In the face of growing environmental challenges, including climate change and energy security, countries across the globe are developing new policies and programs to address these challenges, and China is no exception. 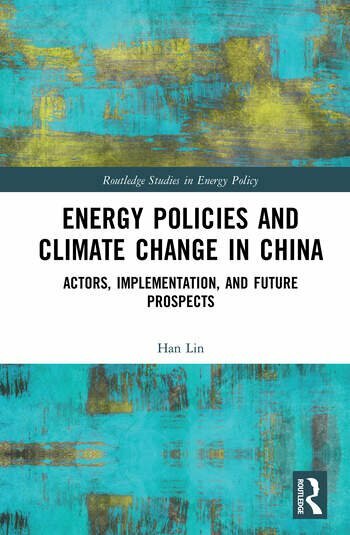 This book analyses China’s two most significant climate-related energy policies, the Clean Development Mechanism (CDM) (including the later Chinese Certified Emission Reduciton - CCER) and the Energy Conservation and Emission Reduction Scheme (ECERS). This work specifically examines the strengths and weaknesses of these policies to highlight the deficiencies and advise how they can be optimised so China can better achieve its emission reduction goals. It analyses the roles and relationships between relevant actors and identifies how successful their cooperation has been, and what factors have affected it. Importantly, the work draws on a wide range of sources from central ministries to civil society, including interviews with Chinese officials, scholars, energy company managers, ENGO personnel, media reports and online forum discussions. In doing so, the book not only analyses the thoughts of policymakers, as many works do, but also those implementing the policies and those impacted by the policies. The book concludes by offering detailed and practical solutions to address each specific deficiency in the CDM and ECERS policies, with the aim of providing innovations and alternative approaches to improve current and future policies in China. This book will be of great interest to students, scholars and policymakers interested in climate change and energy, and Chinese environmental policy and politics. Han Lin holds a PhD from the College of Business, Government and Law, Flinders University, Australia, and currently teaches at Flinders University and the University of South Australia.